The price of Tilapia has gone up in recent years likely due to the popularity of this practically boneless, mild and meaty fish. However, it is still a good value for the money and very easy to prepare. Here's a quick and easy way to make it crunch style! Place melted butter in one dish for coating fish, the bread crumbs in another. Set both aside. Heat olive oil in iron skillet or nonstick pan over med-high heat. While skillet is heating up, prepare fish by sprinkling both sides with a dash of sea salt and crushed black pepper (as much or little as desired - sometimes I also add other spices), then dipping in the melted butter to coat both sides, then in the Panko. Tip: If you don't have enough Panko bread crumbs or crackers to crush, you can also use a combination of both. It's delicious! Place coated fish filets in heated pan (not too hot) and cook for about 3 minutes. You will know fish is ready to flip when it becomes opaque (solid white) in color, about half way up. Finish cooking for additional 3 minutes on the other side, or until fish is tender when pressed lightly with edge of spatula or fork. For thicker fillets, turning more than once may be necessary to avoid over browning the first side. 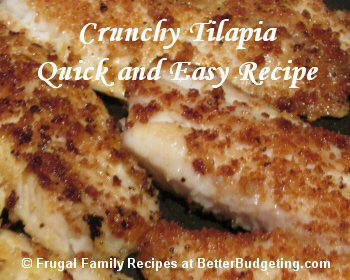 Our family loves Tilapia cooked crunchy like this, I hope yours does too! 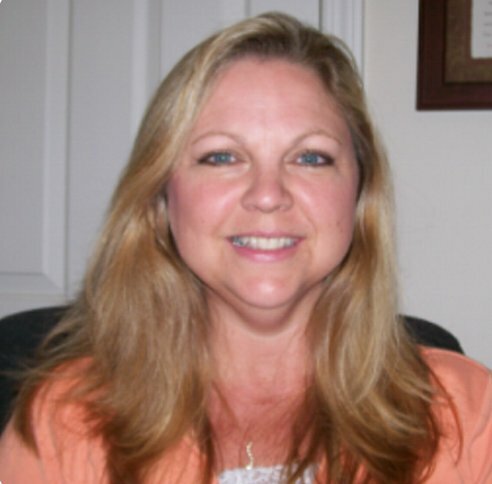 Copyright © 2014 by Michelle Jones. All rights reserved.